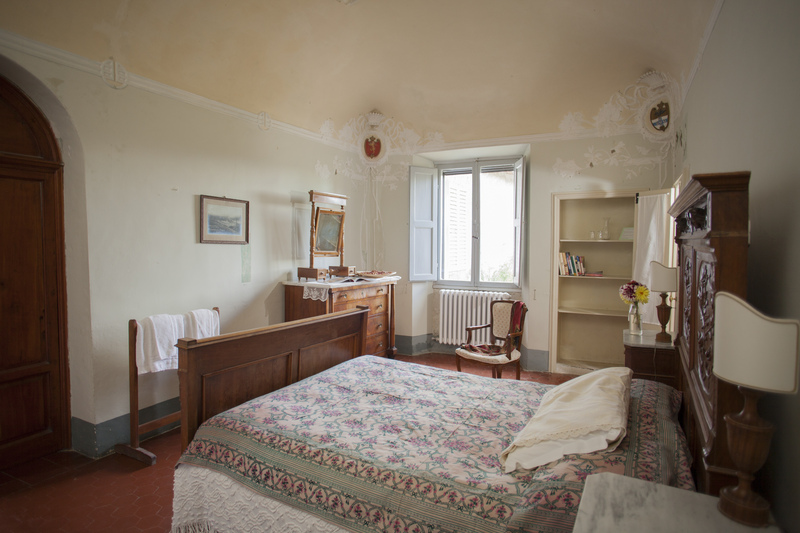 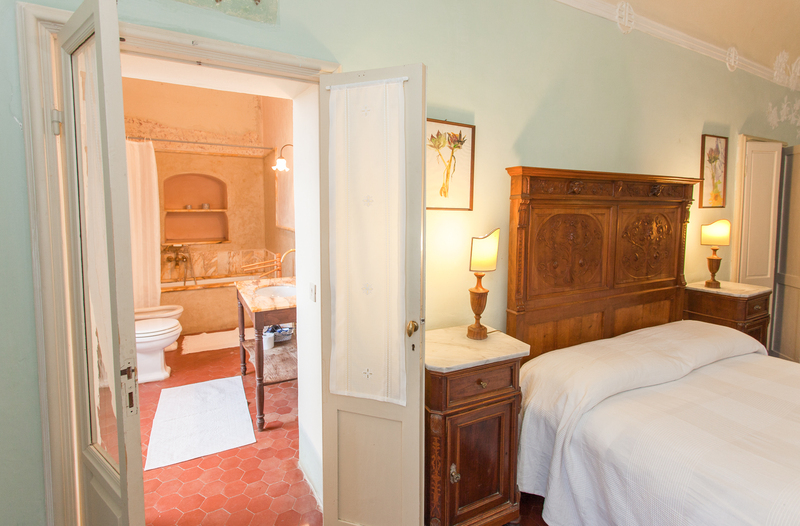 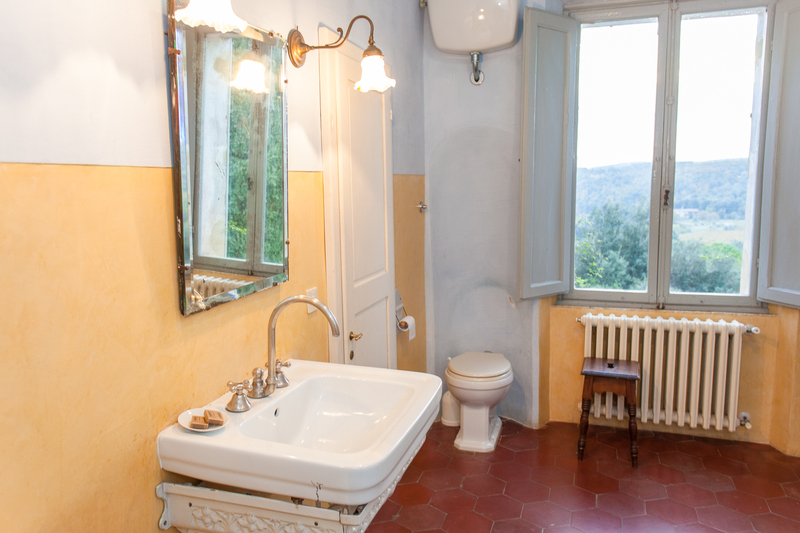 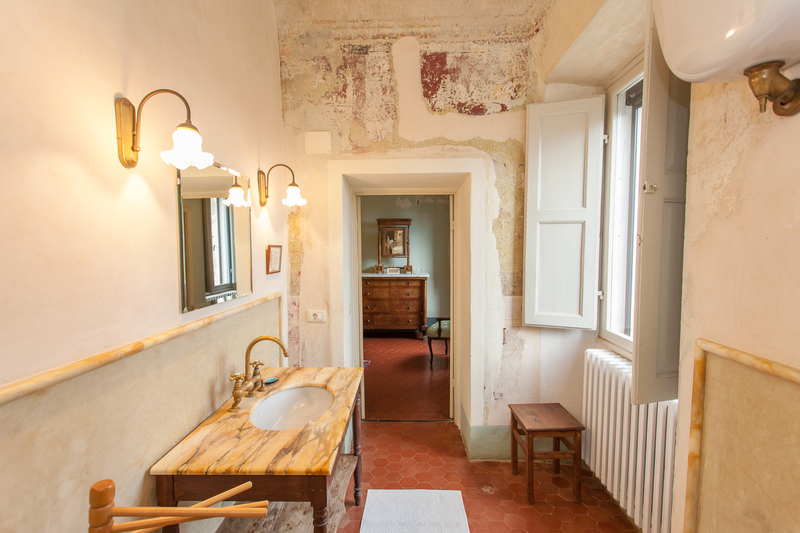 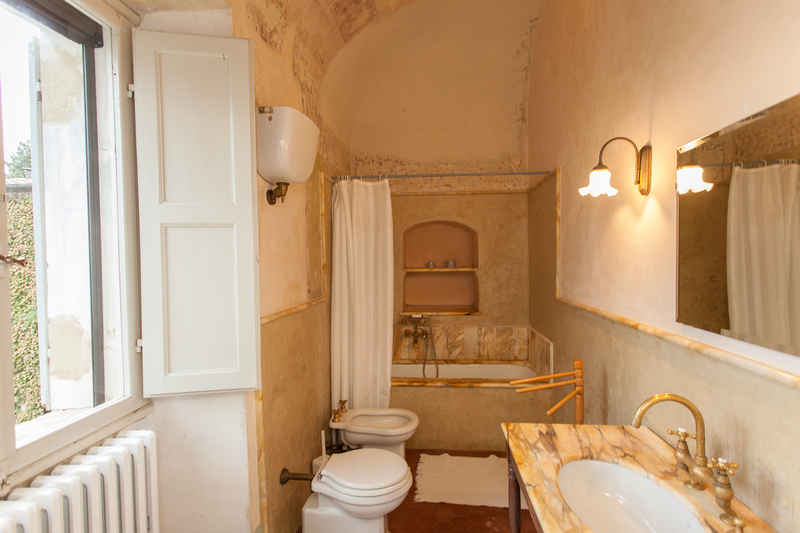 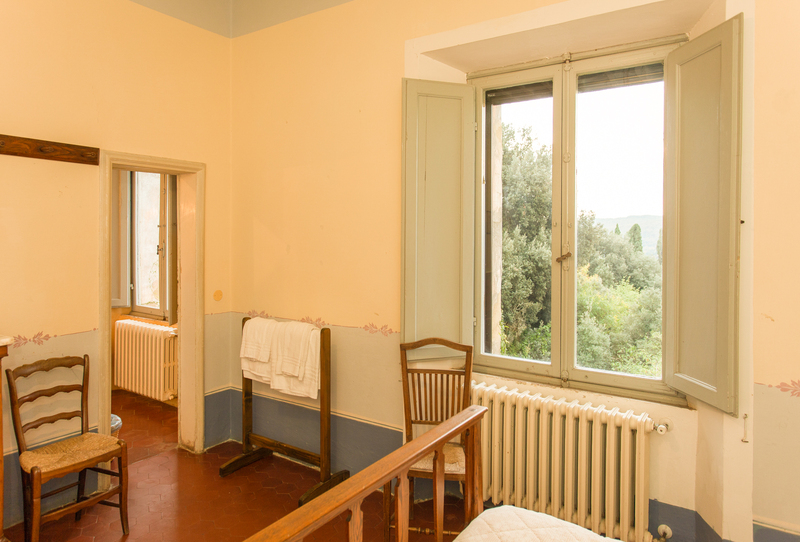 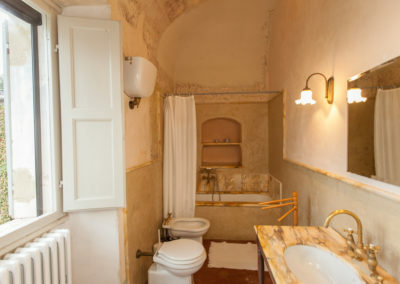 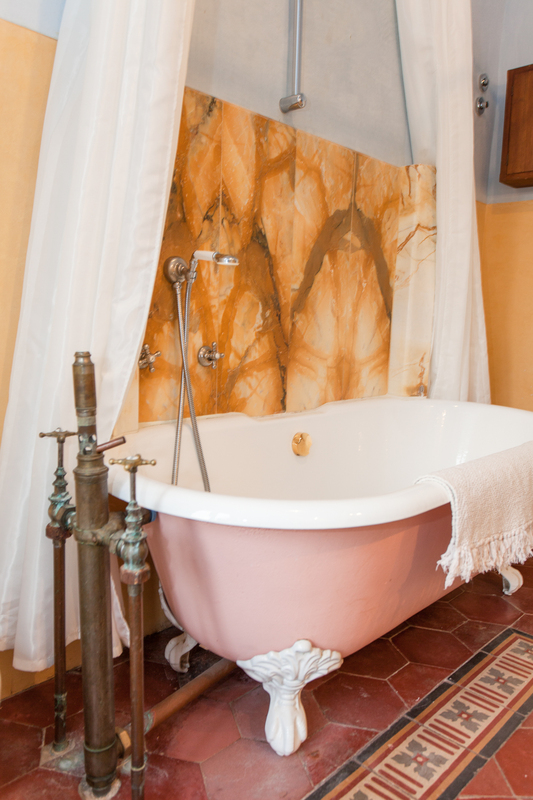 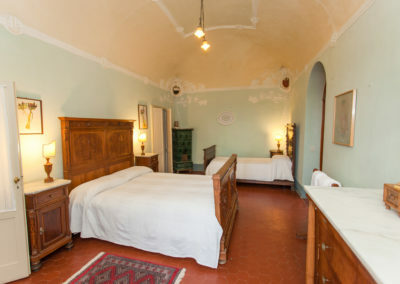 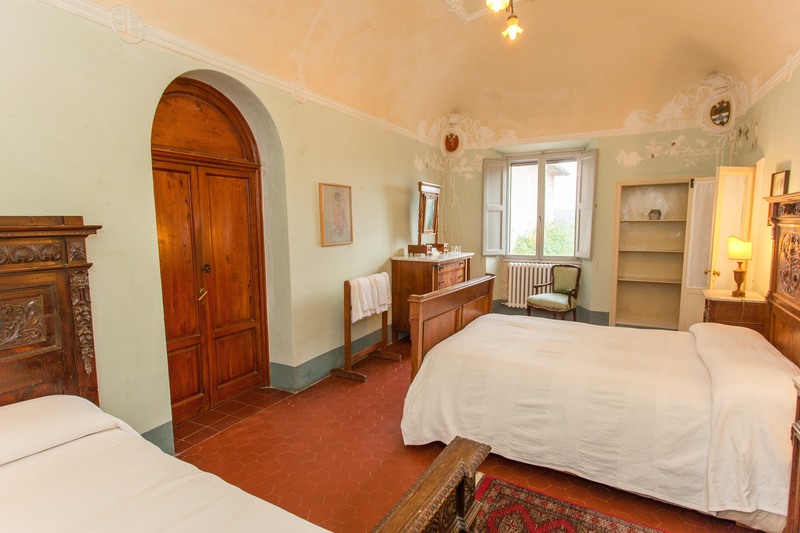 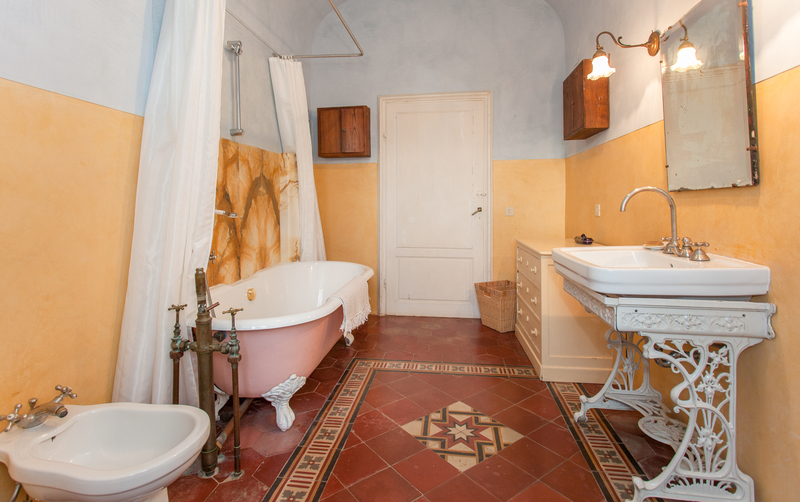 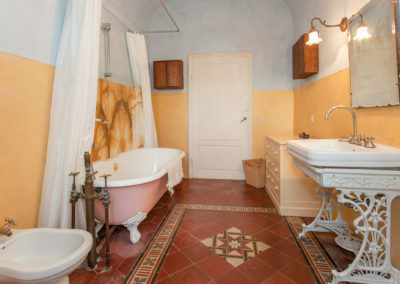 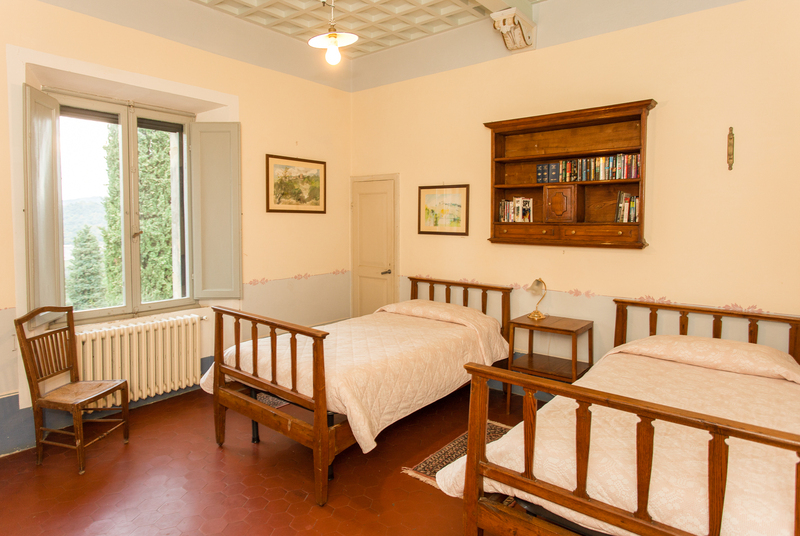 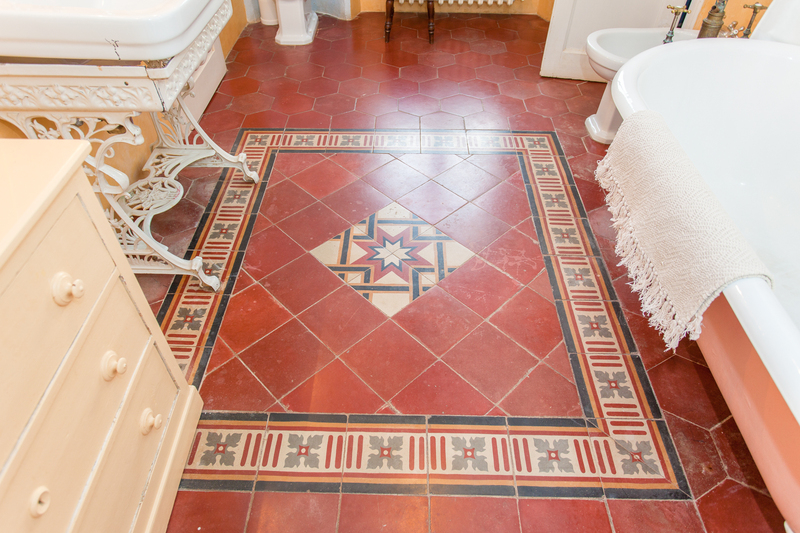 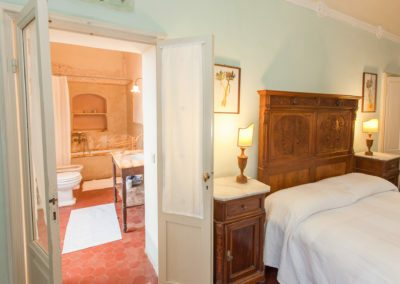 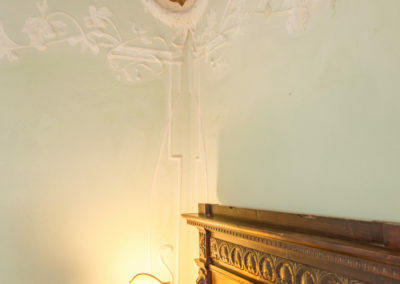 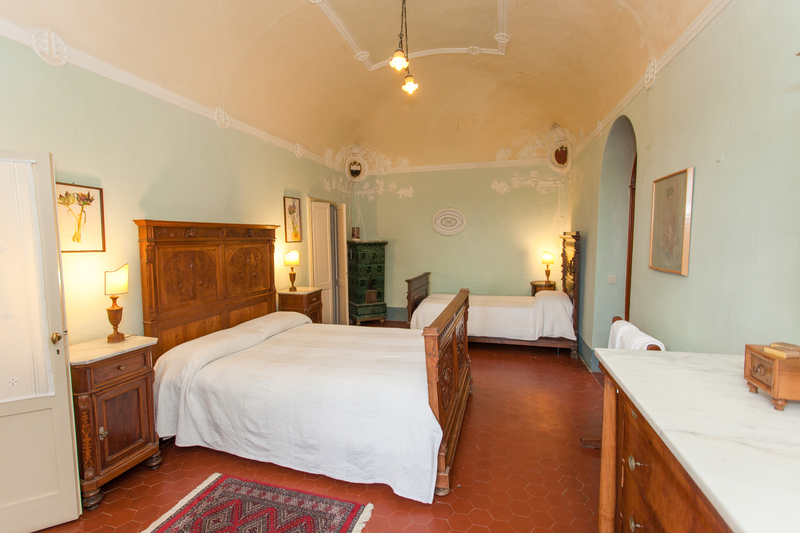 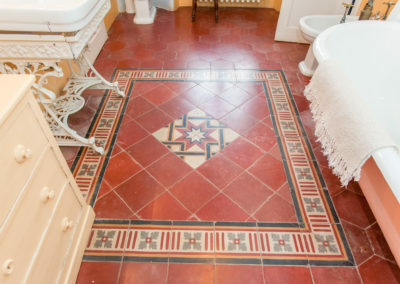 Spacious rooms with classic Tuscan decor and large en-suite bathrooms with a beautiful shower / tub and bidet, and finishes in yellow Siena marble. 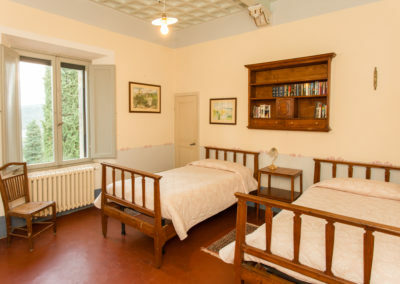 One can be triple with double bed and a single. 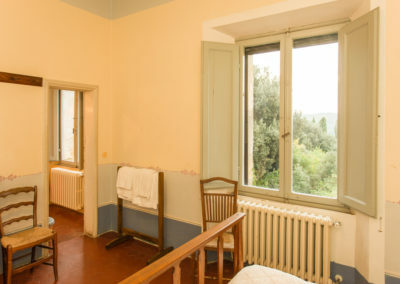 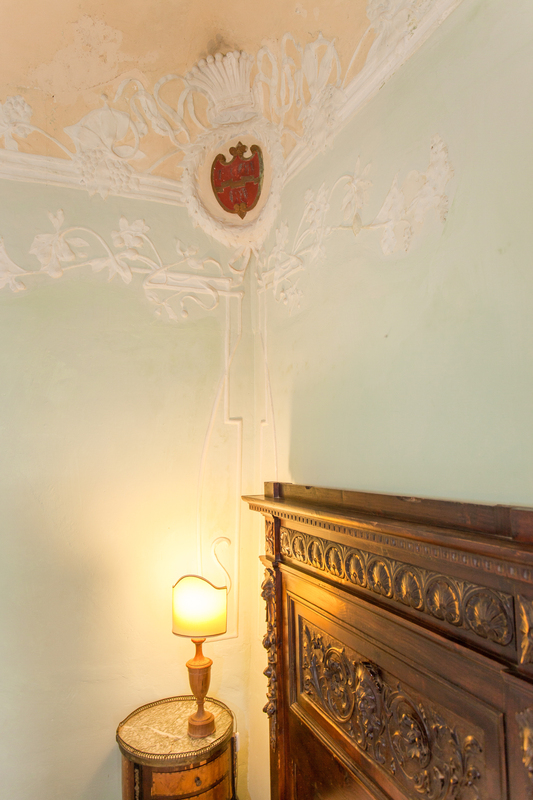 The windows of the bedrooms and the bathrooms overlook the garden of the Villa and the panorama of the valley.